Dharmesh has been performing Business Analysis and Quality Assurance Analysis functions in Agile environments for over 8 years. While being involved in Agile during early adoption stages and working in maturing Agile teams, he has elicited and communicated requirements in different formats depending on the stakeholders. Additionally, Dharmesh has a Masters degree in Business Administration with emphasis in Information Systems and is a Certified Scrum Master. 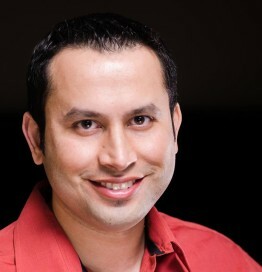 In his spare time he shares his insights on his social profiles (Twitter and LinkedIn) and his blog – www.beagilist.com. He and his beautiful wife, Ami have a charming daughter, Mira who keeps them just a little busy.